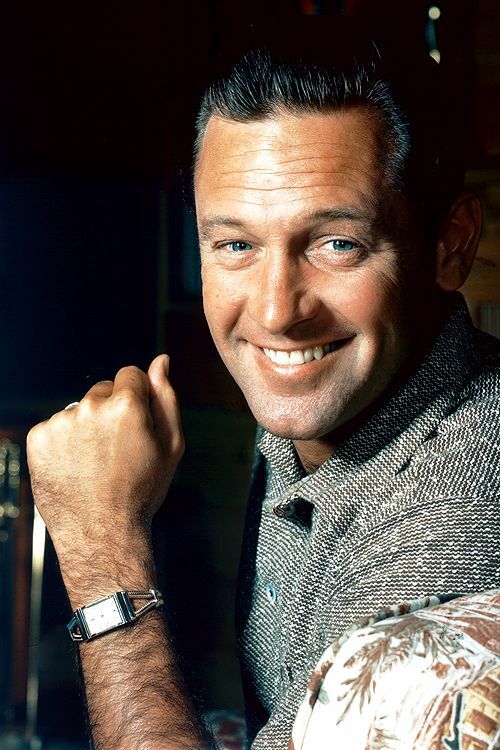 TCM's April star of the month is William Holden. This week, my TCM picks feature star of the month William Holden, birthday lady Doris Day, and old Hollywood icon Bette Davis. Note: All times are ET and the highlighted text has links to full-length articles. Here's a link to the complete schedule for April 2-8. Barbara Stanwyck and William Holden in a publicity still for Golden Boy (1939). William Holden and Barbara Stanwyck were in three films together. TCM is airing two of them on Monday to kick off their star of the month tribute to William Holden. First up is the boxing drama Golden Boy (1939) at 8 pm Monday. 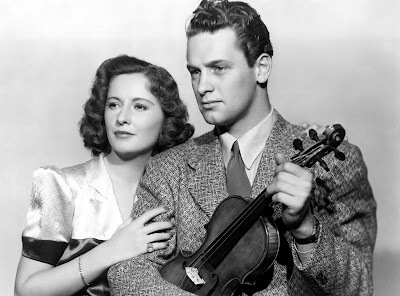 This film about a talented violinist who takes up boxing to support himself was Holden's film breakthrough, but it wouldn't have happened without a lot of coaching and support from Stanwyck who mentored Holden during the film. Next, Stany and Bill battle it out in the boardroom in the drama Executive Suite (1954) at 10 pm, which is about the power struggle at a large corporation after the CEO dies. More Holden: There's two great Holden films airing in late night. Our Town (1940) at midnight is a lovely version of Thornton Wilder's Pulitzer Prize-winning play and Dear Ruth (1947) at 1:45 am is a fun homefront rom-com that stars Holden and Joan Caulfield as mistaken World War II pen pals. Random aside: There's an urban legend that writer J.D. Salinger got the name for Holden Caulfield, the protagonist of The Catcher in the Rye, from seeing ads for Dear Ruth. This appears to be a myth, at least according to the Internet, but it just seems so strange to me that he picked those two names out of thin air. 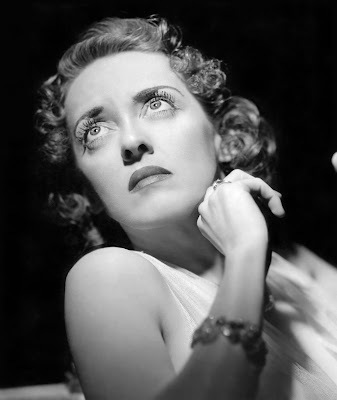 TCM is celebrating the singer and actor's 96th birthday with a daytime lineup of her films. Day was born Doris Kappelhoff on April 3, 1922, in Cincinnati. 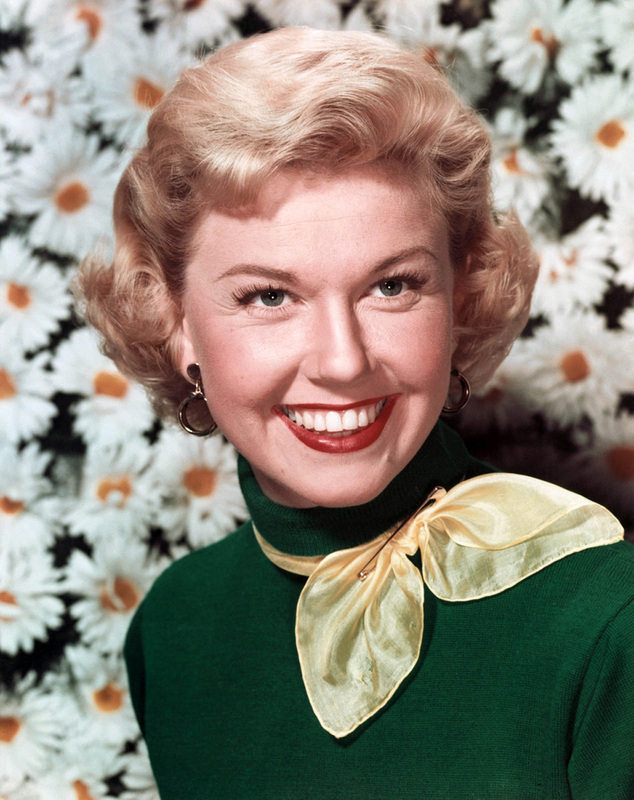 After earning popularity as a big-band singer, she became a top musical star at Warner Bros. in films like It's a Great Feeling (1949) at 8:15 am and Calamity Jane (1953) at 11:45 am. Day later branched out in to more dramatic fare in films like the Ruth Etting biopic Love Me or Leave Me (1955) at 1 pm, while also continuing to be the queen of romantic comedy opposite Rock Hudson in Pillow Talk (1959) at 4 pm and Rod Taylor in The Glass Bottom Boat (1966) at 9:45 am. Day also made several family comedies in the 1960s, including Please Don't Eat the Daisies (1960) at 6 pm. TCM's April spotlight is on director Michael Curtiz. He made all kinds of movies during his long career at Warner Bros., including a few horror pictures. Scream queen Fay Wray and baddie Lionel Atwill team up for Doctor X (1932) at 2:15 pm Wednesday and The Mystery of the Wax Museum (1933) at 5 pm. These two movies are notable for being filmed in two-strip Technicolor. The great Boris Karloff plays an executed man who, with the help of professor Edmund Gwenn, is brought back from the dead to find the men who framed him in The Walking Dead (1936) at 3:45 pm. Kid Galahad (1937) at 11:30 pm Wednesday: Bette Davis and Edward G. Robinson share lunch on the set of this boxing drama directed by Michael Curtiz. More Bette and Curtiz: The director and star made seven movies together. In addition to Kid Galahad, TCM is airing the prison drama 20,000 Years in Sing Sing (1932) at 10 pm costarring Spencer Tracy, the newspaper comedy Front Page Woman (1935) at 1:30 am costarring George Brent, and Pre-Code romp Jimmy the Gent (1934) at 3 am costarring James Cagney. One of old Hollywood's all-time greats, Ruth Elizabeth Davis was born April 5, 1908, in Lowell, Mass. 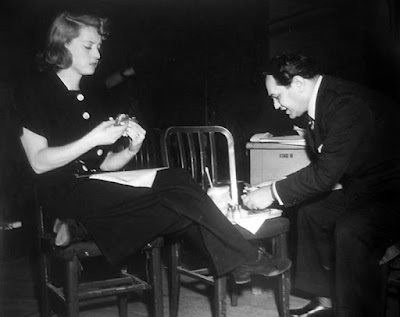 She worked her way up at Warner Bros. with supporting parts in films like The Petrified Forest (1936) at 5:15 pm Thursday, and went on to become one of the top stars of the 1930s and 1940s in films like the medical drama Dark Victory (1939) at 2 pm and woman's picture A Stolen Life (1946) at noon. Her later career included suspense films like The Nanny (1965) at 6:30 am and Dead Ringer (1964) at 8:15 am. 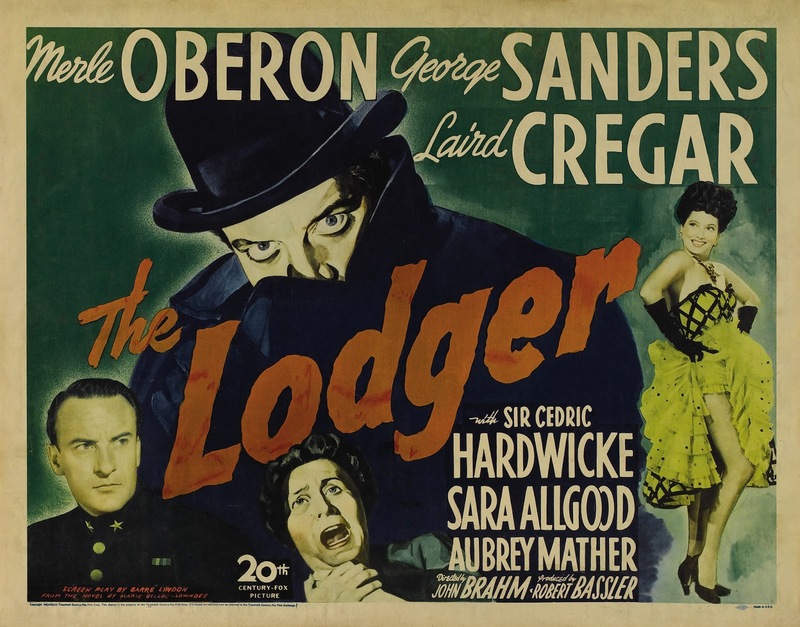 The Lodger (1944) at 8 pm Thursday: This second screen version of Marie Belloc Lowndes novel about a Jack the Ripper-like serial killer doesn't get as much attention these days as director Alfred Hitchcock's silent version, but the 1944 version is an exceptional film in its own right. 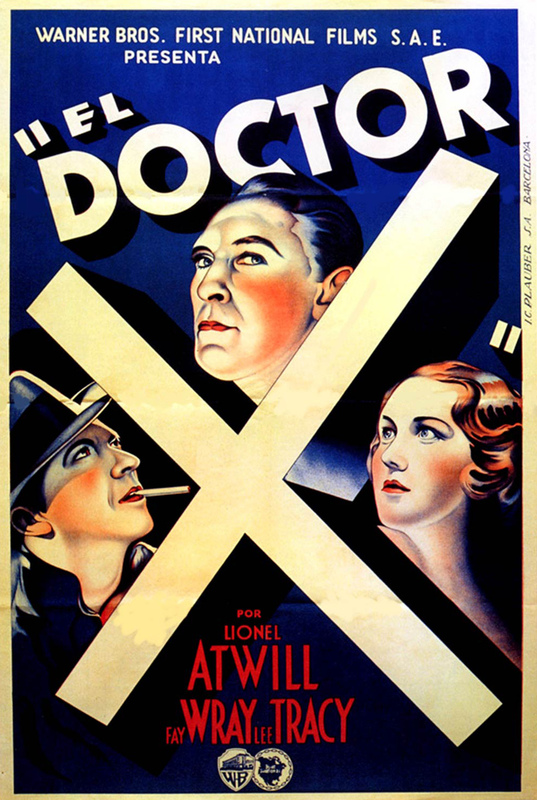 Director John Brahm used noirish cinematography and camera angles to create a suitably fog-shrouded version of Victorian London on the Fox backlot, and Laird Cregar's creepy performance as the title character is unforgettable. He is every bit as good as Peter Lorre in M (1931), and his final scene is the stuff of nightmares. More Victorian chillers: You've probably already seen Gaslight (1944) at 9:45 pm, but So Evil My Love (1948) at midnight is also a great thriller with Ray Milland at his baddie best. 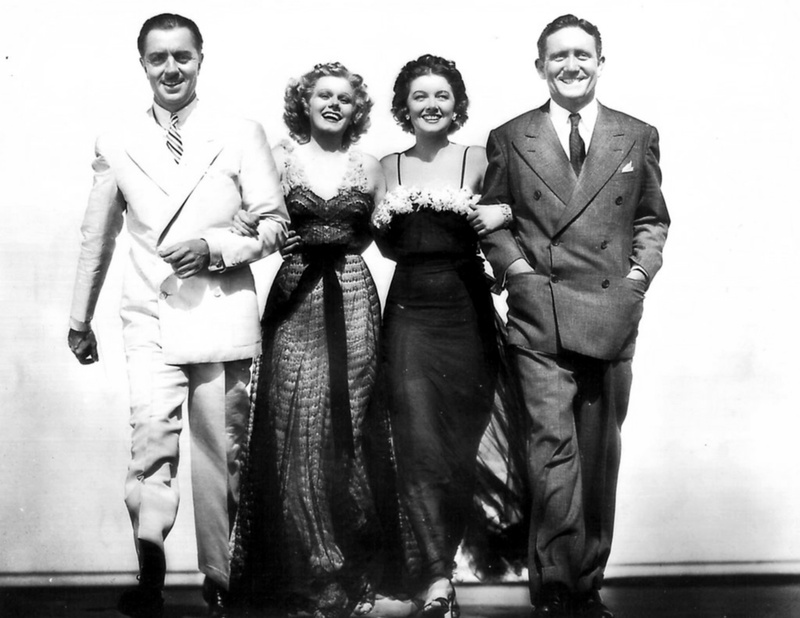 The cast of Libeled Lady (1936): William Powell, Jean Harlow, Myrna Loy, and Spencer Tracy. TCM's Friday daytime lineup features several exceptional newspaper movies starting with the Alfred Hitchcock-directed thriller Foreign Correspondent (1940) at 8:30 am starring Joel McCrea as a reporter who gets mixed up in a spy ring. Next up is the original version of The Front Page (1931) at 10:45 am starring Adolphe Menjou and Pat O'Brien (it's gender-bending remake His Girl Friday (1940) starring Cary Grant and Rosalind Russell is on at 4 :15 pm). The fun screwball comedy Libeled Lady (1936) at 12:30 pm features Spencer Tracy as a harried editor who is being sued by heiress Myrna Loy. There's also two movies with Katharine Hepburn: Tabloid reporters James Stewart and Ruth Hussey crash Kate's society wedding in The Philadelphia Story (1940) at 2:15 pm, and columnist Hepburn and newspaper reporter Tracy try to make their marriage of opposites work in Woman of the Year (1942) at 6 pm. Charles Laughton in Ruggles of Red Gap (1935). 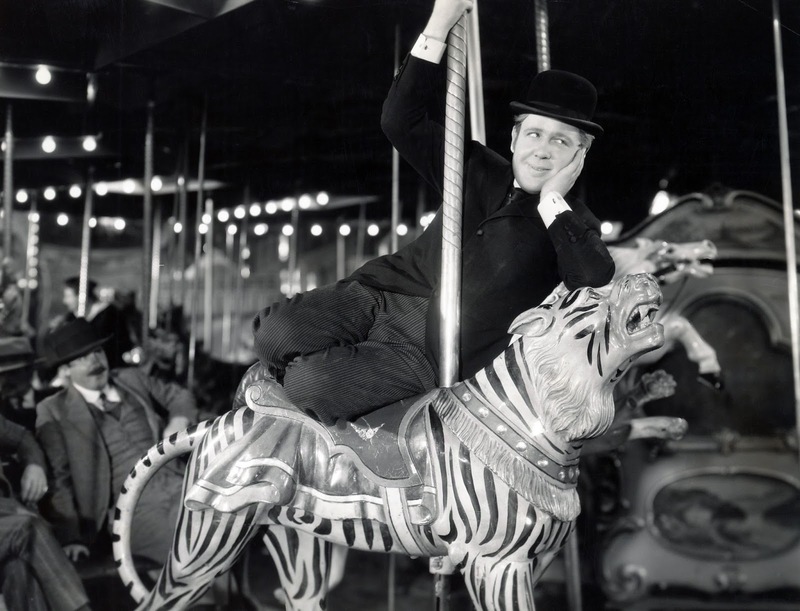 Ruggles of Red Gap (1935) at 9:15 pm Friday: The great English actor Charles Laughton gives one of his most charming performances as a reserved English butler who is won in a poker game by an uncouth American millionaire (Charlie Ruggles). The uptight Brit learns to love his adopted country and even finds romance with ZaSu Pitts. More Leila Hyams: Ruggles of Red Gap is part of a night of movies starring Leila Hyams. She had a versatile career in the 1920s and 1930s that included the bizarre horror film Freaks (1932) at 8 pm. William Holden and Loretta Young in Rachel and the Stranger (1948). 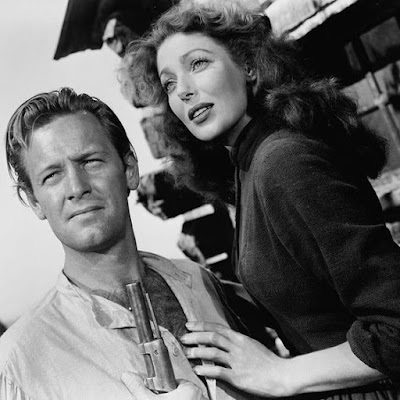 Rachel and the Stranger (1948) at noon Saturday: This charming Western stars Loretta Young as William Holden's mail-order bride, who finds herself attracted to handsome drifter Robert Mitchum. The Mark of Zorro (1940) at 8 pm Saturday: Star Tyrone Power shows off his swordsmanship in this all-time great swashbuckler. 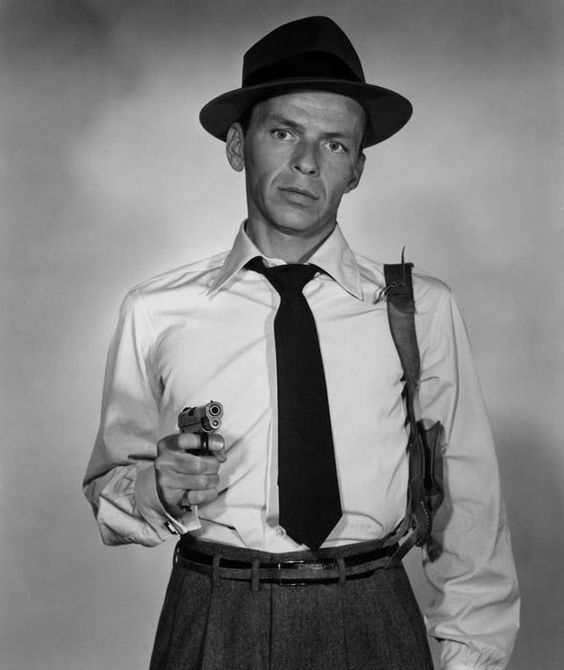 Frank Sinatra in a publicity still for Suddenly (1954). 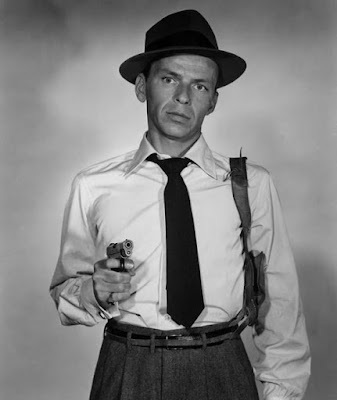 Suddenly (1954) at midnight Saturday night/Sunday morning and 10 am Sunday: Frank Sinatra plays the leader of a gang of assassins who are hired to kill the President when he visits a small town in this very effective thriller. 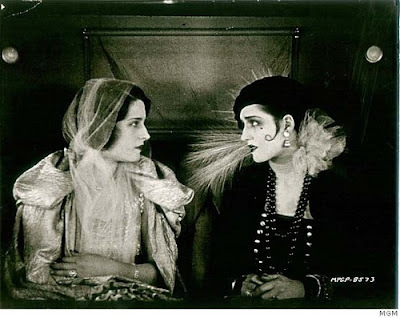 Lady of the Night (1924) at midnight Saturday night/Sunday morning: In this silent melodrama, Norma Shearer has a dual role as a good girl and wild child who are both (rather inexplicably) in love with Malcolm McGregor. That's good Norma facing off against wild Norma in the photo above (I like wild Norma's style better). 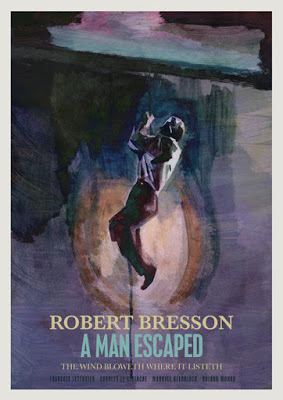 A Man Escaped (1956) at 2 am Sunday night/Monday morning: French director Robert Bresson details the elaborate escape plans and inner life of a French resistance fighter (Francois Leterrier) in a film that is both beautifully poetic and extremely instense. So much goodness this week on TCM! Bill Holden, Doris Day, and all those Curtiz flicks. Two great performances from Cregar in The Lodger and Laughton in Ruggles. Wow! You must have had fun writing up the week. I did have fun writing it, but I've been so busy, I haven't had time to watch. 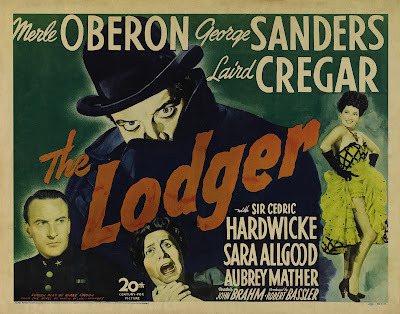 Hopefully, I'll get time for The Lodger tonight.